I thought this topic was particularly timely seeing as I have been running around all week planning my son’s 7th birthday. Last year I got off scot-free as we were on vacation at Disney World for his birthday. It’s amazing how a year off in planning a party makes you forget how much work it is! Work because being a bit of an overachiever I like to go a bit overboard. This year’s theme is Minecraft. If you’re not in the know, Minecraft is a creative game that allows players to use various coloured cubes to build things and you apparently mine for gems etc... I found out the hard way that decorating stores (at least in my neck of the woods) do not have pre-made decorations. Being an overachiever, I have been forced to buy square plates in different colours to make my own decorations. If they turn out, follow me on Twitter (@nicolecronkenny) and I’ll post some pictures of what I ended up making! It was because I am planning a birthday party that made the news article I found about an investigation into the health hazards of bouncy houses/castles – the ones you rent to provide hours of entertainment- so interesting. Before getting into the details I must acknowledge that the source for this article is Fox News. So while interesting and potentially truthful, I would caution against panicking and never letting your children enjoy a bouncy house/castle again. Heck, I’ve been known to have some fun in them! According to the investigation by Fox News, bouncy castles can pose a risk to your children’s health because of the potential to transmit Staphylococcus and cause skin infections. Staphylococcus aureus (commonly known as Staph) is a common bacterium often found on our skin or in our noses. While it is often harmless and does not cause infection, skin that has become abraded (e.g. skin rubbing against the bouncy house causing a “rug burn” type rash) could have the potential to come in contact with Staph and lead to an infection. The biggest concern of course is if Staph happens to be MRSA and as we know from several outbreaks associated with artificial grass and wrestling mats, Staph has the ability to transmit directly from person to person or indirectly from fomites (inanimate object) like a bouncy castle. Skin infections with Staph can become quite serious, particularly in people with underlying diseases or weakened immune systems and can lead to infections of the blood, lungs, bones or even heart valves. 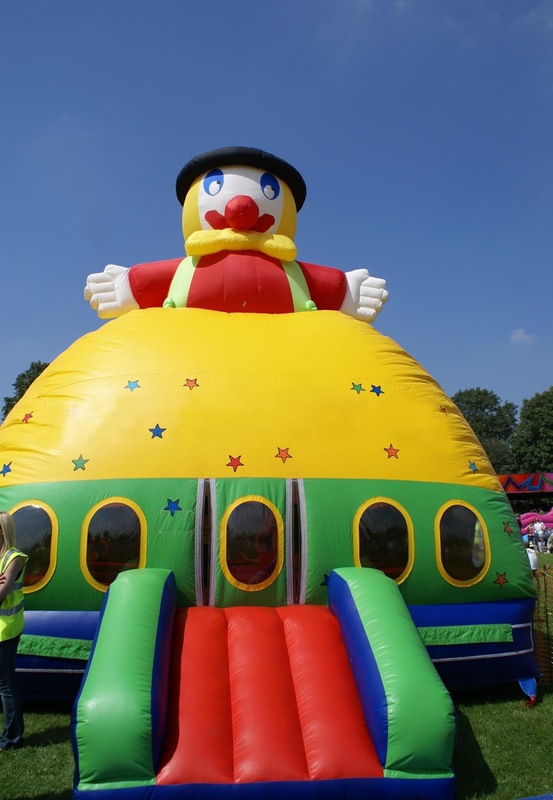 So what can parents do to keep children safe when playing on bouncy castles? In general, hand hygiene will help stop the spread. Children should wash their hands before and after playing on bouncy castles. We should also ensure that uncovered skin is kept clean. If they happen to have minor skin cuts or abrasions ensure these are covered with a Band-Aid prior to playing and if cuts or abrasions occur during the course of the fun be sure to clean them thoroughly. If you happen to rent a bouncy castle (or buy one) for use at home, to minimize any concerns with transmission of infectious diseases you can clean and disinfect prior to allowing your child to play on it using a registered disinfectant that has been proven to be effective against Staphylococcus aureus and/or MRSA. Be sure to remove any visible debris first by sweeping or vacuuming and then wipe down all the surfaces with the disinfectant ensuring that the contact listed on the label is met. Keep in mind that depending on the product you are using you may have to wipe the surfaces more than once in order to achieve the contact time and ensure you are killing what you want to kill! So sweet and cool at the same time. I hope the party goes on well.